Schools are welcome participate in the Challenge. 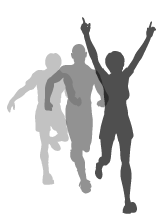 The 5k route is suitable for experienced junior cross country runners, whilst the 10k and half marathon routes provide a good walking challenge. You can use the event to raise funds for your school or for your school’s chosen charities. Child registration: There is no charge for children aged 12 or below on the date of the event but all children must be pre-registered and accompanied by an adult. • The adult is giving permission for the young person to participate. • The adult acknowledges that the organisers of the Cheltenham Challenge are unable to offer any form of supervision for Junior entrants during the event.